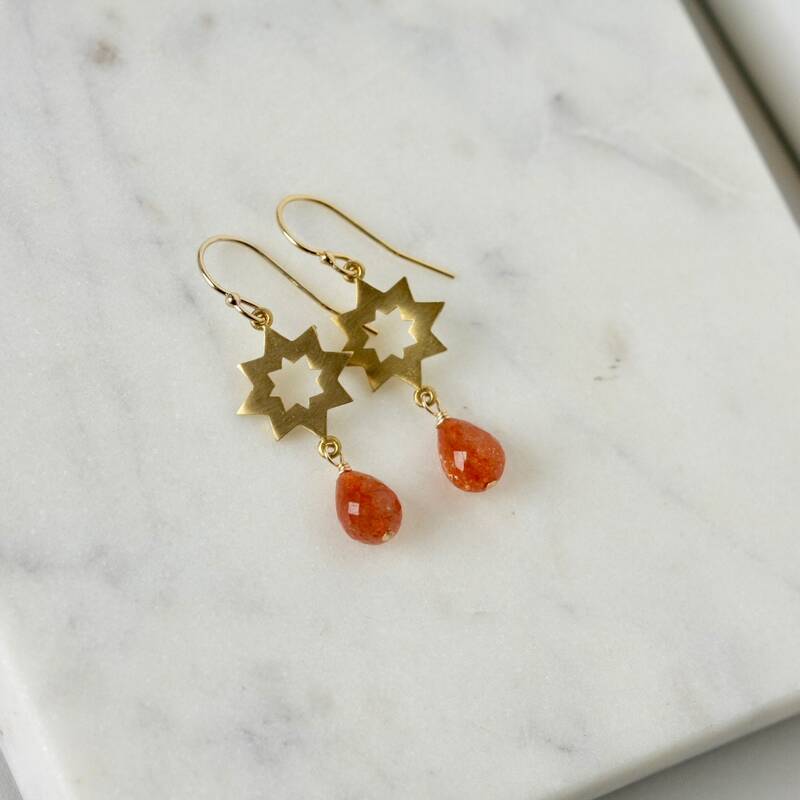 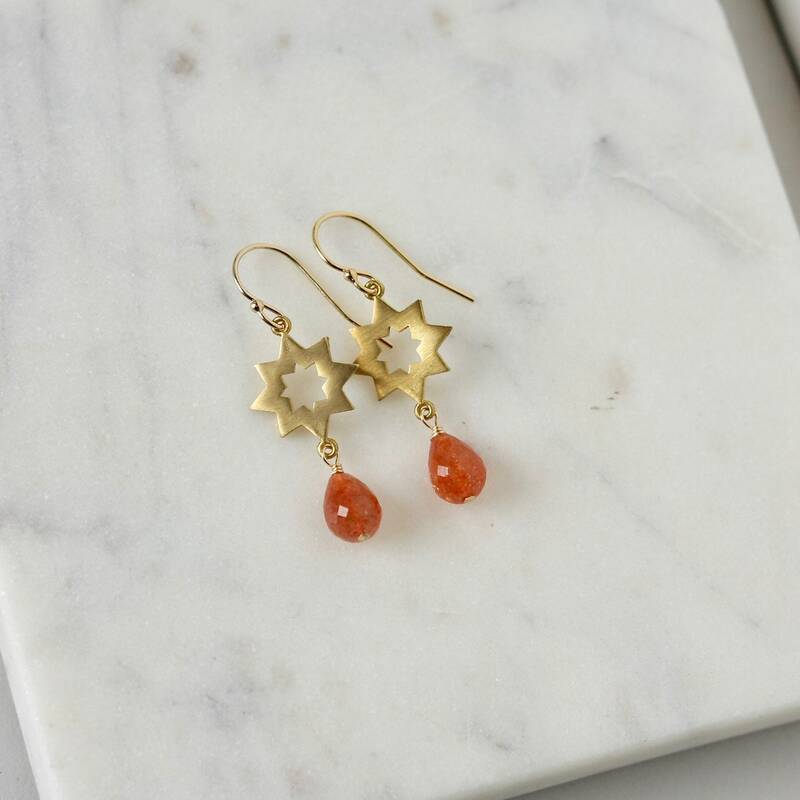 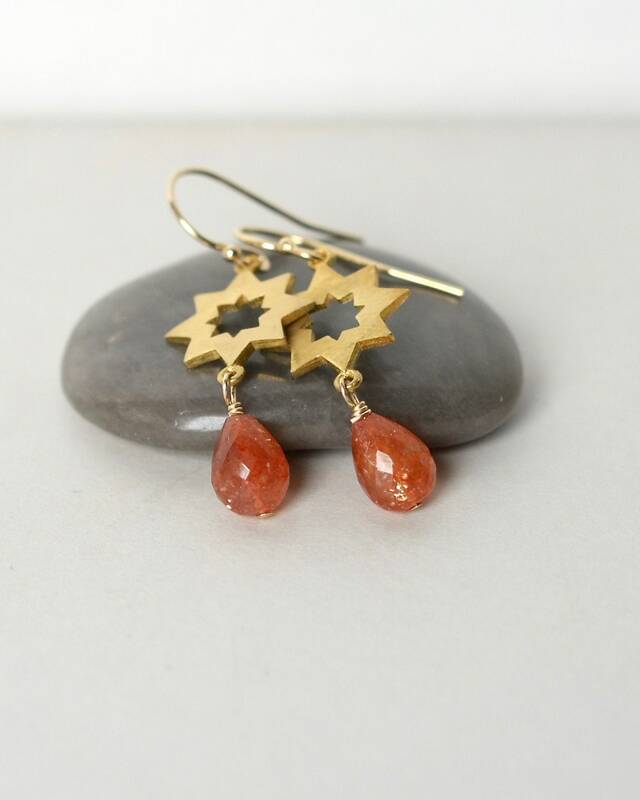 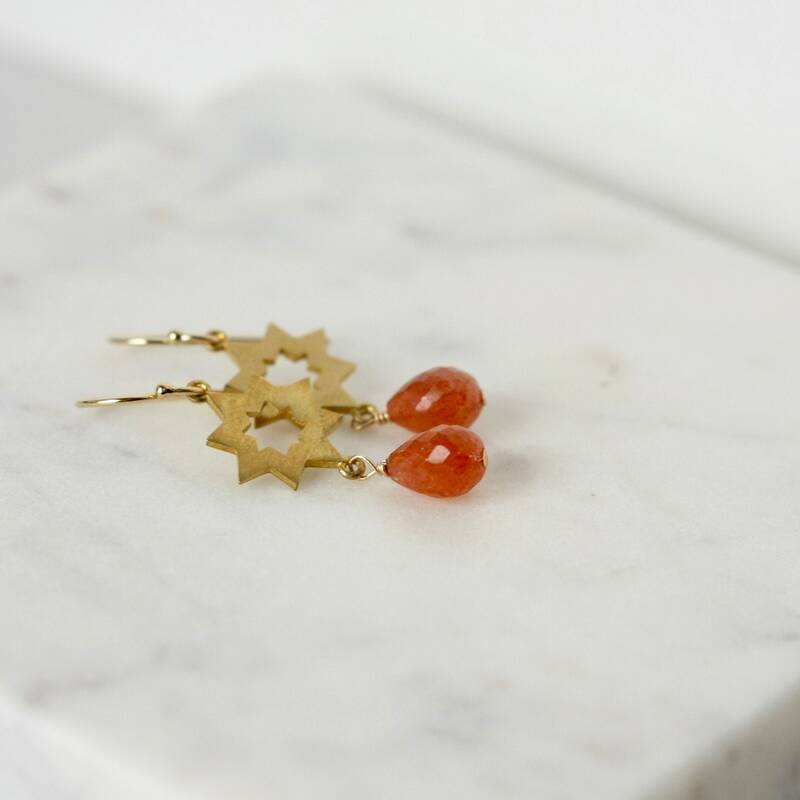 These geometric gemstone dangle earrings feature brass star charms and gorgeous faceted sunstone briolettes. 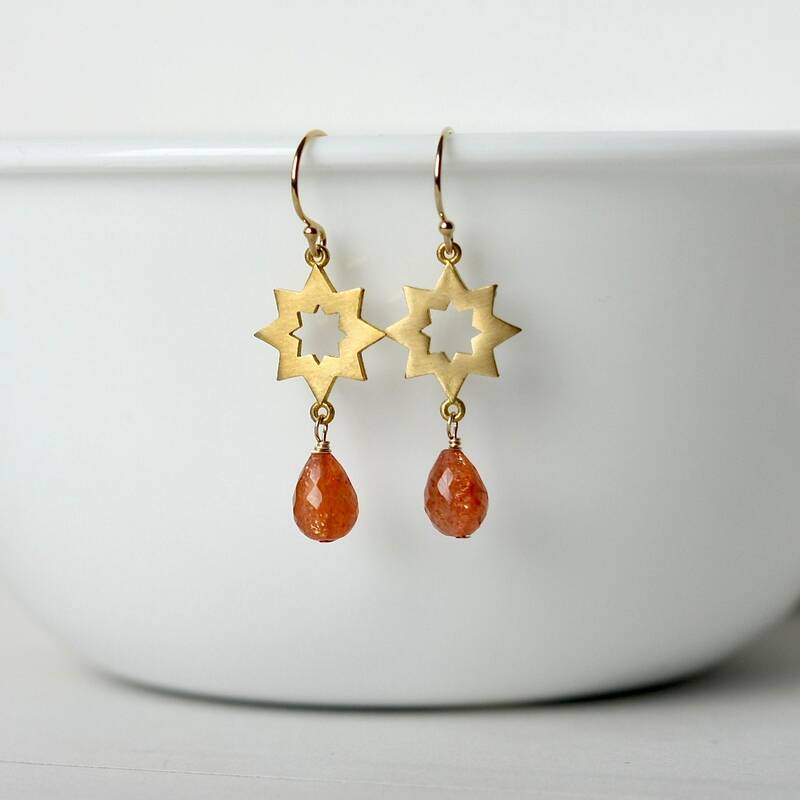 The sunstones have pretty sparkle and a beautiful warm terracotta shade. 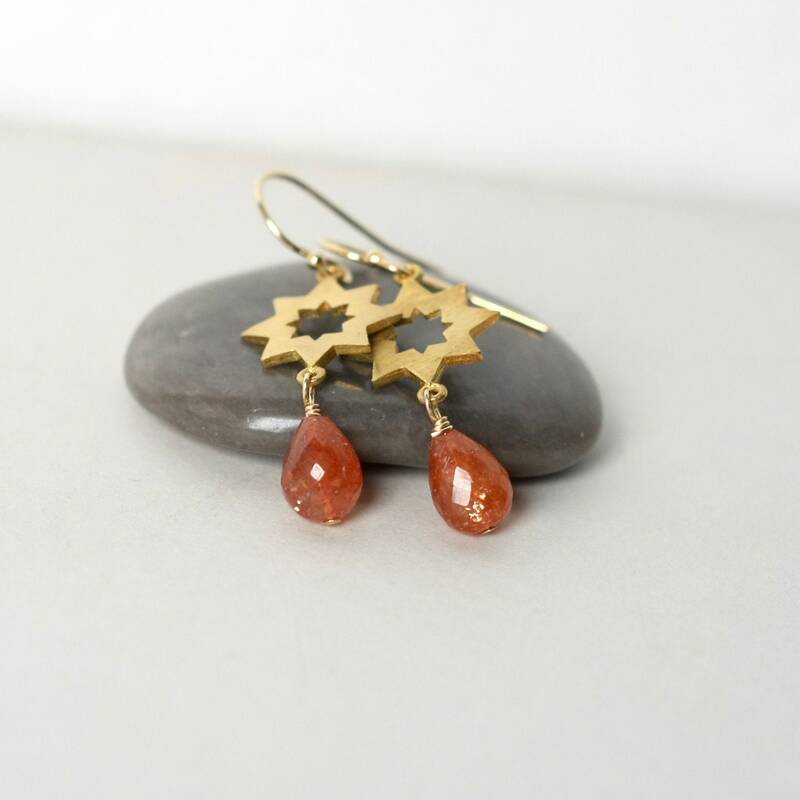 They are wire wrapped in gold-filled wire to brass star charms and hang from gold-filled ear wires. 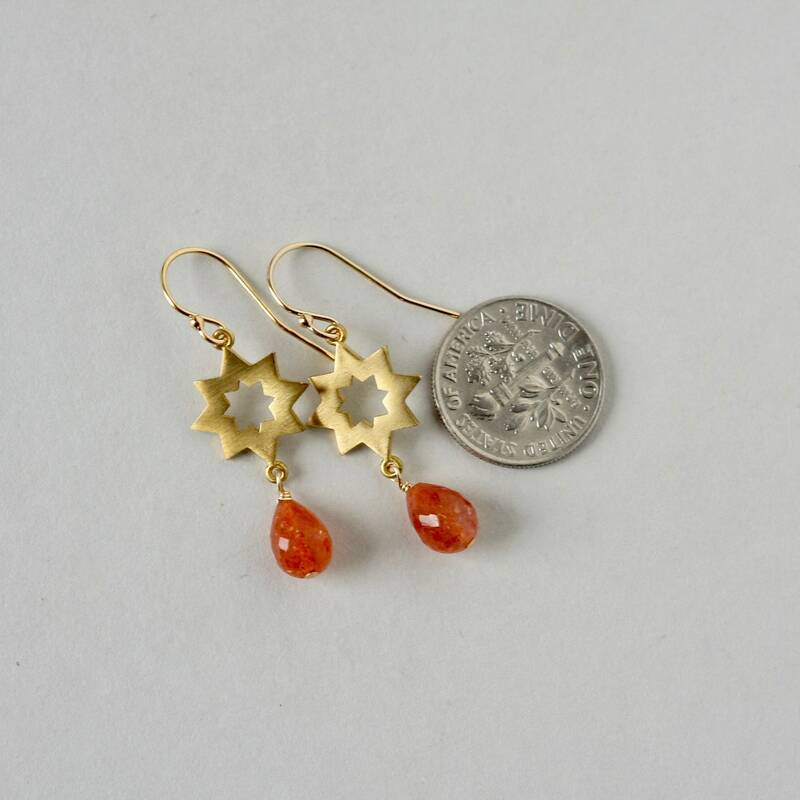 The briolettes are about 9mm long while the stars are 13mm wide and 15mm long. 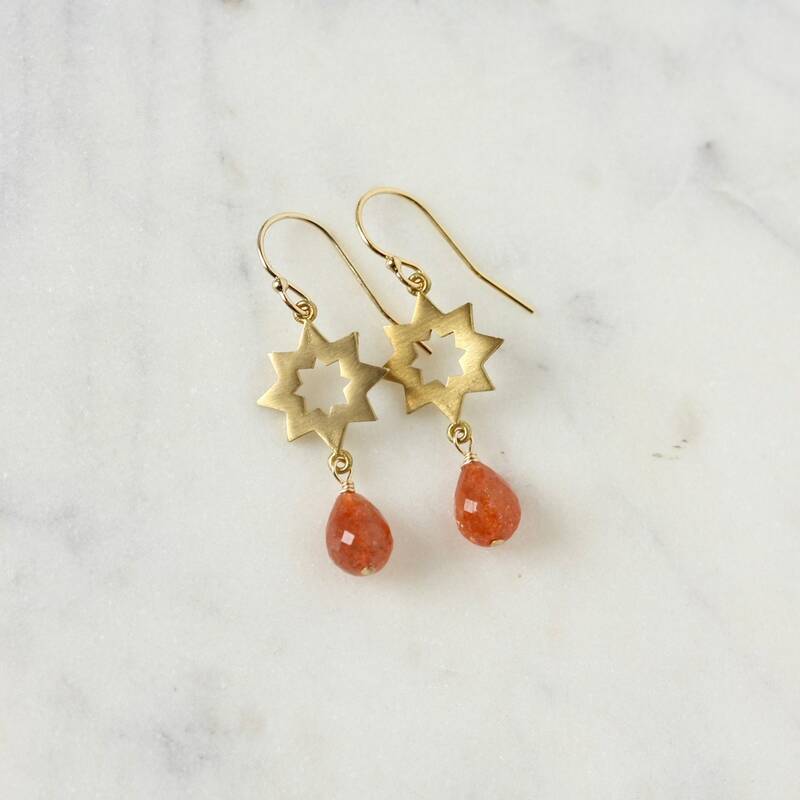 The earrings are comfortable and lightweight and hang 1.5 inches from the top of the ear hooks.